These a mini ZOMTcakes that I made for the Annual Boxing Day Family BBQ. 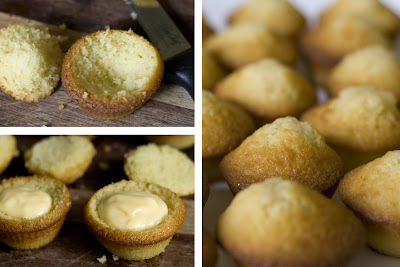 They were so perfect because everyone had two full days of rich food, so the light refreshing citrus curd in a tiny fluffy cake was just enough. 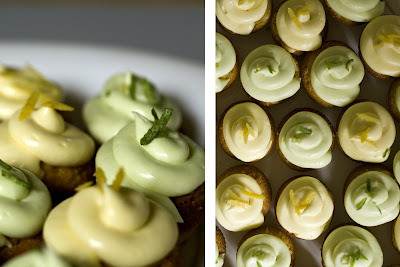 I don't have the recipes I used unfortunately; but it was a basic vanilla cupcake with a lemon and lime curd filling and cream cheese icing. Oh so good! 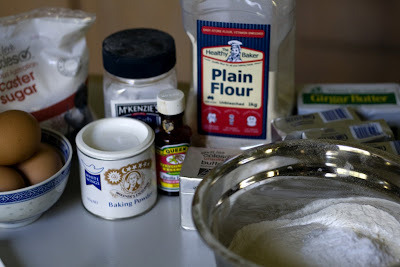 Well here are most of the ingredients anyway. 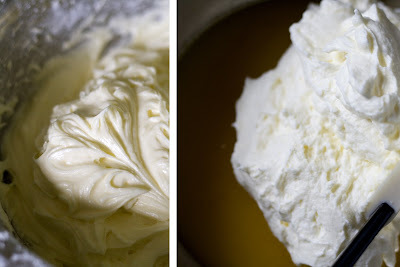 Cream cheese icing on the left and citrus curd with whipped cream ready to be folded through. 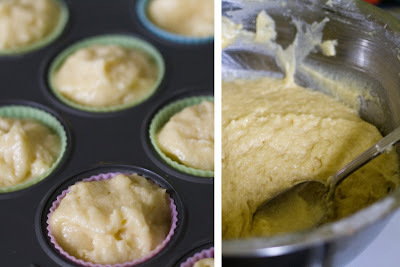 Use a sharp knife to remove the tops of the cupcakes, fill with the citrus curd and replace tops. 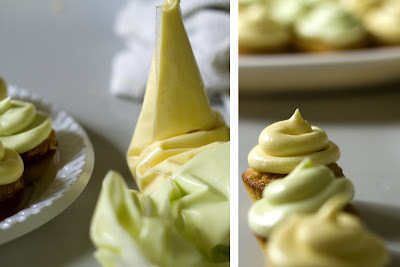 Delicious cream cheese icing - pale yellow and green. I could literally pop into the screen and grab a few of those cupcakes! They look so refreshing and YUM!